You may or may not be aware that I am currently attending the Brick 2014 convention in ExCeL, London. I am going with the intention of promoting our Stack Exchange site to the LEGO community. I also promised to produce a daily report of the event, particularly for those who were unable to attend the convention. I will have time to publish the full report once the event has ended. The Adult Fan Of Lego Convention took place the day before BRICK 2014 was due to open to the public. The convention had guest speakers from every aspect of LEGO, including those that work for or with The LEGO Group. 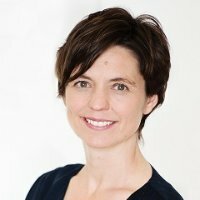 Fiona Wright is the General Manager and Vice President of LEGO UK, she has been a member of the company since she was recruited as the Europe North Brand director in 1999. She talked about how the company has changed since then. In particular during 2003-2004 when The LEGO Group yearly profits had begun to fail. She attributed this to the The LEGO Groups' attempts to expand the company with more and more merchandising, theme parks and digital media. 2003 was a very disappointing year for LEGO Company. Net sales fell by 26 percent from DKK 11.4 billion in 2002 to DKK 8.4 billion. Play material sales declined by 29 percent to DKK 7.2 billion. The result was a pre-tax loss on earnings of DKK 1.4 billion, i.e. a drop of DKK 2 billion as compared with 2002. The year’s result can only be described as unsatisfactory. Source: LEGO Annual Report 2003. Page 3. Guy Bagley works for Merlin Entertainment as a LEGO Model Maker. 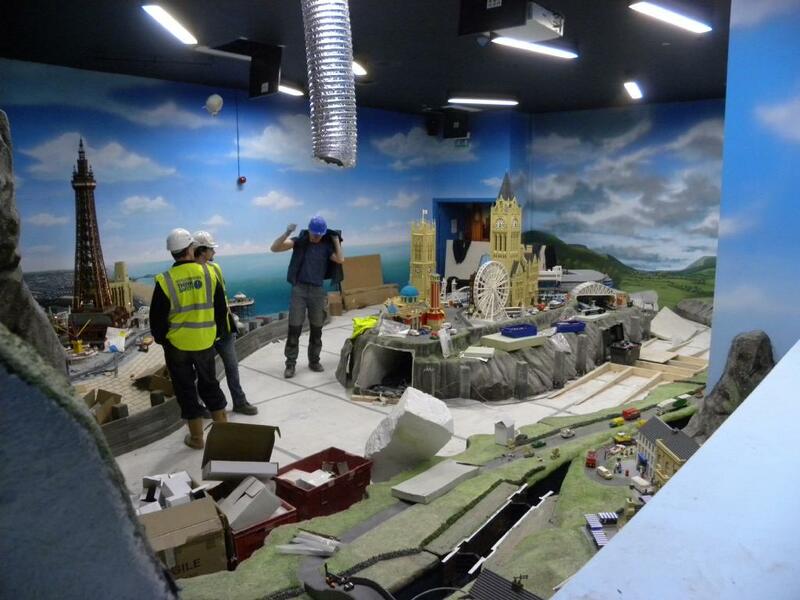 He makes models for LEGOLAND Theme Parks, Discovery Centres, LEGO Stores and special events. 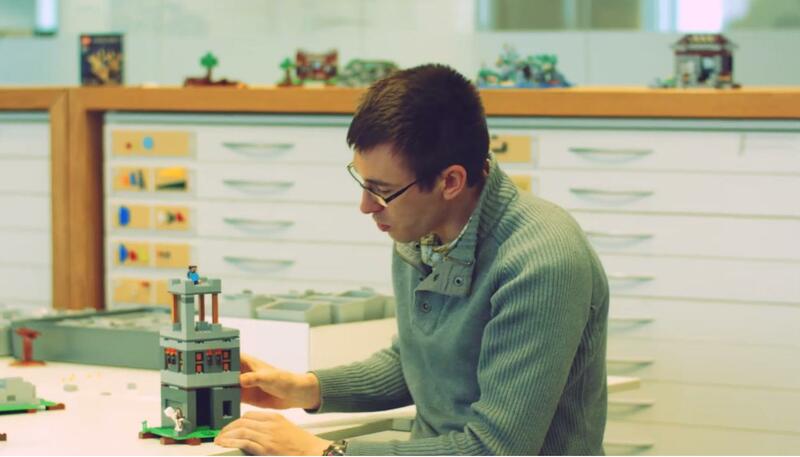 He previously worked for several toy companies as a designer before joining LEGO 20 years ago. His first task was to build a sphere out of LEGO, building spheres allow new model makers to better understand how to 'sculpt' large scale LEGO models. Every model in the LEGOLAND parks over 6ft have steel structures within the models and every day the welds, bolts, bearing and motors of the models and inspected. External checks are performed monthly and a full scale inspection is performed each year. Guy has also worked on many of the LEGO Discovery Centres and LEGO are aiming to create two new centres every year. There seems to be a lot of pressure to produce new models for LDC's and model makers don't get quiet enough time as they had to rebuild old models. Max is a designer for the LEGO MInecraft sets. During the design process, compromises had to be made to best fit the iconic elements of LEGO and Minecraft. Most noticeably, LEGO bricks aren't a perfect cube, so the best approximation is chosen. The designers chose to not make the Minecraft characters look as rectangular and square as they do in the Minecraft universe because they would be unrecognisable as LEGO. Image: LEGO Minecraft Product Page. Video screen capture. Keith is the Senior manager for the LEGO Community Support team. Kevin talked about the LEGO Ambassador Network (LAN) introduced in 2005 as 'a focused and structured approach to engaging with and supporting the global adult fan of LEGO (AFOL) community'. There are 376,401 AFOLs (Adult Fans of LEGO) in 223 recognised LUGs (LEGO User Groups). Over 16 million LEGO parts were sent out in LUGBULK orders in 2014. LUGBULK runs of the 'Missing Parts' supply chain. Therefore requests for missing parts from LEGO customers take priority over LUGBULK orders. LUGBULK orders can take a long time to be processed and shipped to the LUG, particularly around peak times (Christmas). Alice is an AFOL of LEGO, well known in the LEGO fan community for her large scale MOCs, most notably the recreation of Hogwarts from the Harry Potter franchise. I highly recommend reading the Brothers Brick interview as it covers most of the points she talked about in her presentation. There is also a gallery of the finished Hogwarts model on Flickr. Tim Goddard, Ian Grieg, Andrew Hamilton, Yvonne Doyle, Drew Maughan and Jeremy Williams collaborated with Peter Reid to make the Exo Suit set a reality with LEGO Ideas. The BRICK 2014 convention was the largest of its kind in the UK. The convention originally was intended to be held at the O2 arena in London, but due to the high demand in tickets it was moved to the much larger ExCeL convention centre, less than a mile away. Undoubtably the highlight of the event, the Fan Zone showcased almost every kind of LEGO models created by the LEGO fan community from all over Europe. Aside from the usual City and Space themes that are a staple of almost every LEGO exhibition, you could also pockets of Fabuland, Steampunk, Microscale and Mosaic models. Toys R Us, as the official partner retailer were selling almost every set you could buy at a normal LEGO store. Sadly there was no official LEGO store where you could spend and earn VIP points, however Toys R Us ran (and continue to run until 21st December) a promotion where you could earn a £20 gift coupon for spending £75 or more on LEGO. There were also a dozen or so independent traders from across Europe selling their loose parts as well as rare and discontinued sets. For adults and children there is plenty to see and do. If you intend to see the whole show you can expect to spend at least a full day looking around. The tickets for both Saturday and Sunday were sold out and crowded. I strongly recommend anyone who wishes to go to BRICK 2015 either does so on a weekday or purchases a VIP pass to get access to the show floor an hour earlier than the public.